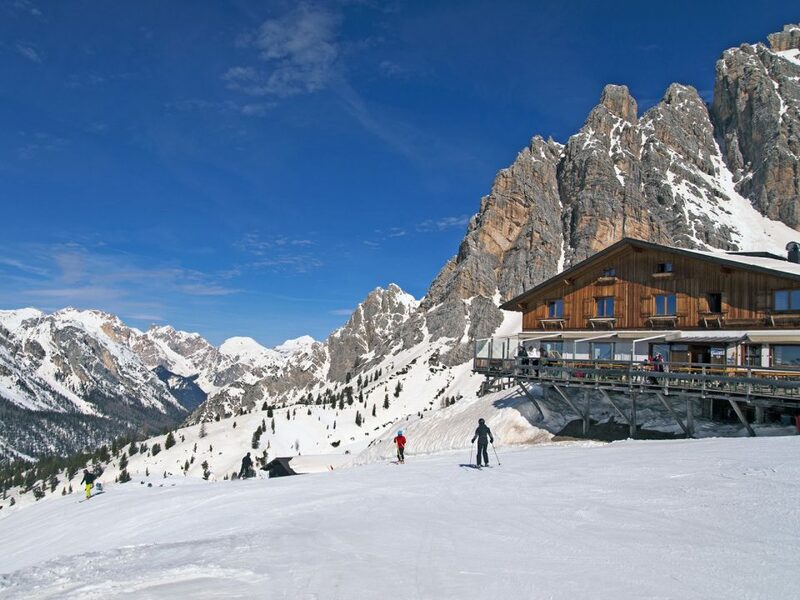 The most beautiful mountains in Europe, Dolomites welcome tourists with the special atmosphere of the city and the amazing peaks: this is the the Dolomites Tour planned by Accademia Viaggi srl for those who want to visit them during one day. The Tour of the Dolomites also includes gastronomic stops, to taste some of the specialties of a unique cuisine. Located in the heart of the Dolomites National Park, the town of Longarone was the sad scene of one of the most tragic events of the Italian recent history: the disaster of Vajont Dam that on the evening of October 9, 1963 wiped out in a few minutes the existence of more than 2,000 people, as well as the entire city of Longarone. 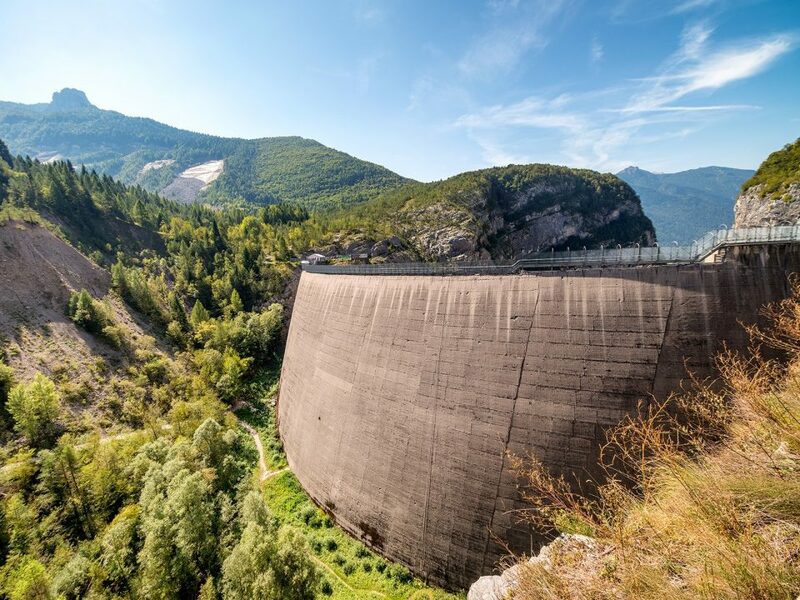 Today the dam is empty and the Museo of Vajont and the Church of Santa Maria Immacolata pay homage to the victims and heroes of this tragedy . Reborn in new splendor, thanks to the tenacity of the people, today Longarone is a beautiful city also known for the annual and famous Fiera del Gelato (Ice Cream Exibition). The visit to Pieve di Cadore reveals the magnificent landscapes of the Dolomites of Cadore, between the Col Contras and Montericco Colle. The tour includes a stop at the historic center, to visit the Palace of the Magnificent Community of Cadore that houses the Museum of Cadore. Nearby there is the beautiful church of Santa Maria Nascente, which houses a precious Madonna with Child and an altarpiece by Tiziano, a very famous artist who was born in Pieve di Cadore. 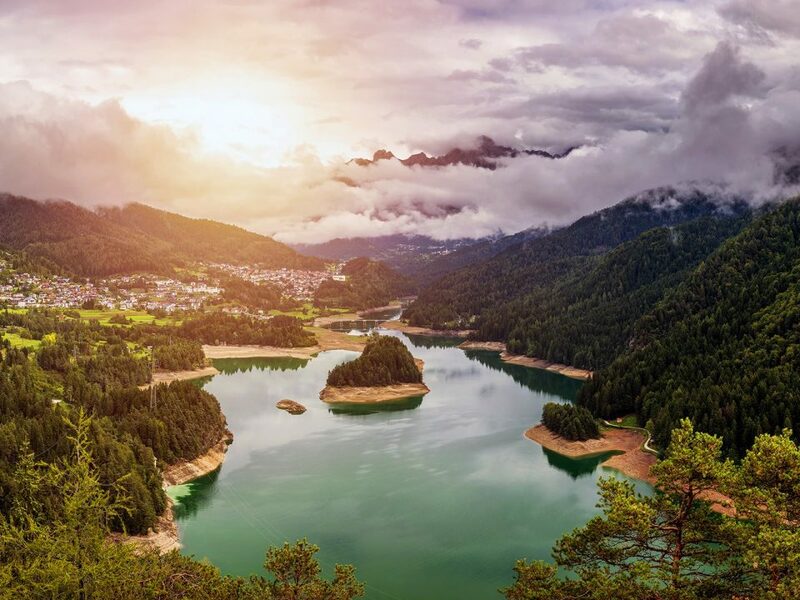 Lake Misurina is a must for those who visit the Dolomites , thanks to its landscape surrounded by a ring of peaks, it inspires at the same time glory and peace. The lake has the colors of mith and legend. 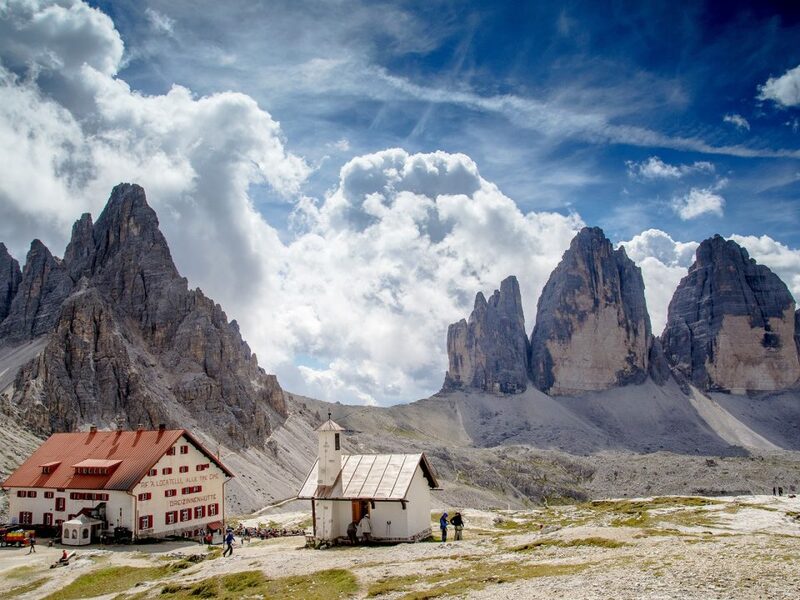 Among the better known and respected peaks in the world, the Three Peaks of Lavaredo are located in the proximity of Lake Misurina. Their majesty commands respect and awe. The peaks are a continuing challenge for a large number of extreme climbers who attempt the climb. In several editions of the Giro d’Italia of Cycling, the Rifugio Auronzo ( 2,333 meters) has represented the arrival of a mountain stage. 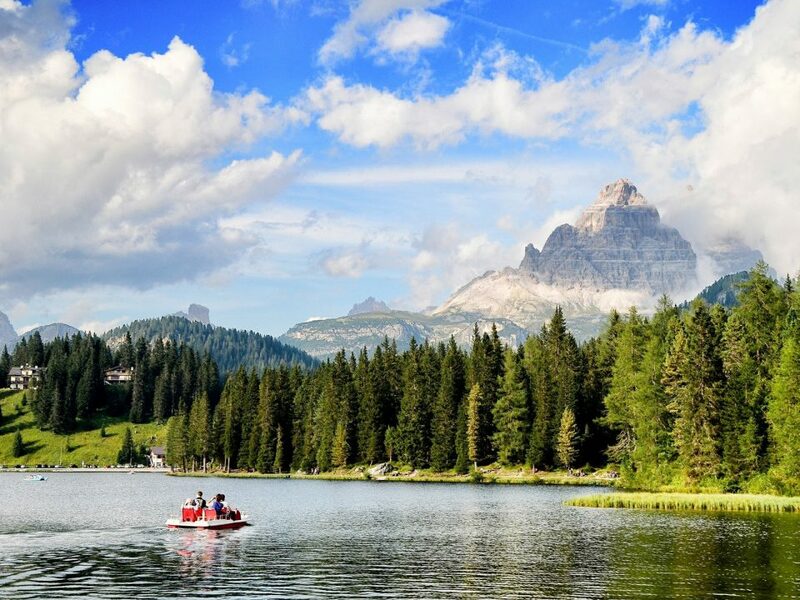 The most famous holiday resort in the Dolomites, Cortina d’ Ampezzo annually hosts an elite tourism that loves to spend holiday vacations in its characteristic village. 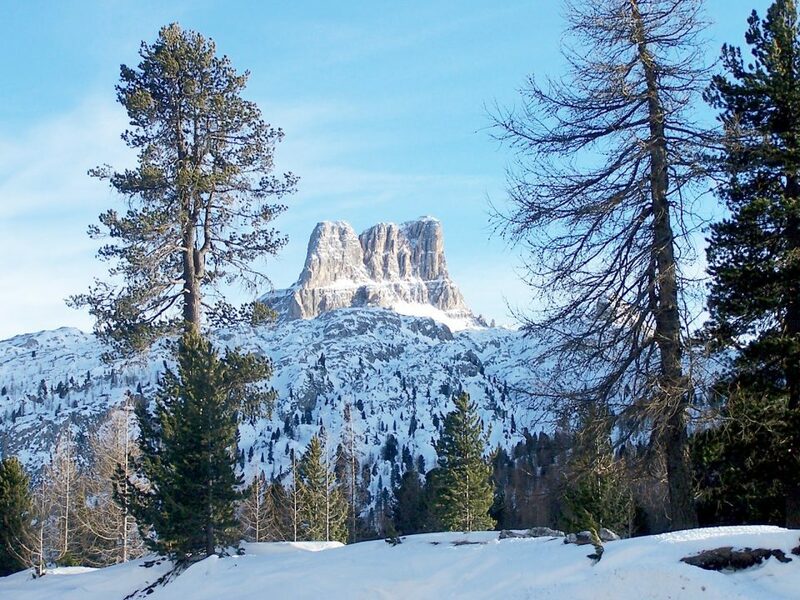 The unique atmosphere of the streets, shopping places and relaxation of Cortina is the last surprise of a memorable tour.